It was one year ago today that the world was devastated with the shocking news that the King of Pop had passed away. I remember driving in my car listening to the radio (I know, who does that anymore lol) when I heard. I seriously thought it was a hoax – clearly I was wrong. Truly this conflicted yet amazing pop icon changed the face of dance and music forever. His brilliant and magnificent career was filled with so many outstanding accomplishments that, needless to say, he will forever go down in history as one of the most influential people in the world. Even though he was M.I.A., so to speak, during his ladder years, it’s still a little weird to comprehend living in a world without him in it. 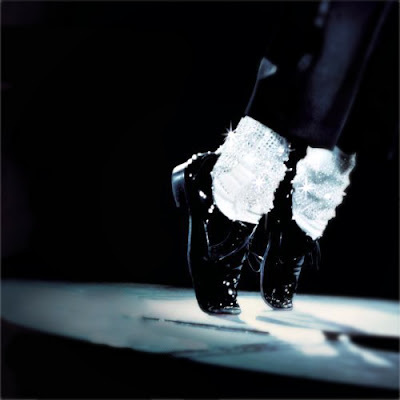 Michael Jackson will definitely be missed, but the legend that he is will live on forever and ever. I know it’s a little cliché, but my favorite MJ video would have to be Thriller. Part of the allure of the song was its accompanying video. Three words… A-MAZ-ING! And I know this is a tough one, but my all time favorite MJ song would have to be Man in the Mirror. It just makes me so happy and in a way it gives me a sense of hope. I love it! It received a Grammy Award nomination for Record of the Year, and apparently it’s been acclaimed as one of his best vocal performances of all time. Yes, he was talented, but he sure screwed up his life. Still, he sold many records, albums and was quite the performer. thanks for the nice video. Jackson sure had lots of good songs..... I love his album of all-tme hits. Because that movie isn't a balls to the wall action film. Even though Inception has action in it, it's more of a sci-fi thriller movie, wouldn't you agree? Can't wait to see it!